My son Rafael always tell me that his head is itchy. I'd suspect for lice but then there's not a single lice. We've tried a lot of shampoo already to battle the itch and oftentimes flakes that falls off his head. 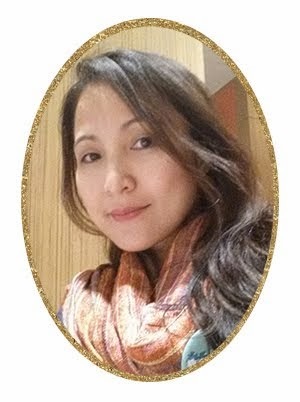 At Céleteque event, I found out that my son could be suffering form residue buildup. Residue buildup is caused by constantly using hair care products such as shampoos, conditioners, gels, waxes, hair polishes and sprays. These products combined with excess oil and dirt on the scalp, can cause clogged hair cuticles, which may lead to dry and brittle hair. It also makes hair dull, greasy, feel heavy and difficult to manage because residue buildup prevents your roots from absorbing nutrients. So by Sunday, and every Sundays to come, I'm having Rafael use Céleteque DermoScience Hair and Scalp Care Clarifying Shampoo to treat his itchy scalp. Céleteque DermoScience Hair and Scalp Care Clarifying Shampoo is a once-a-week wash that helps get rid of residue buildup on your scalp. 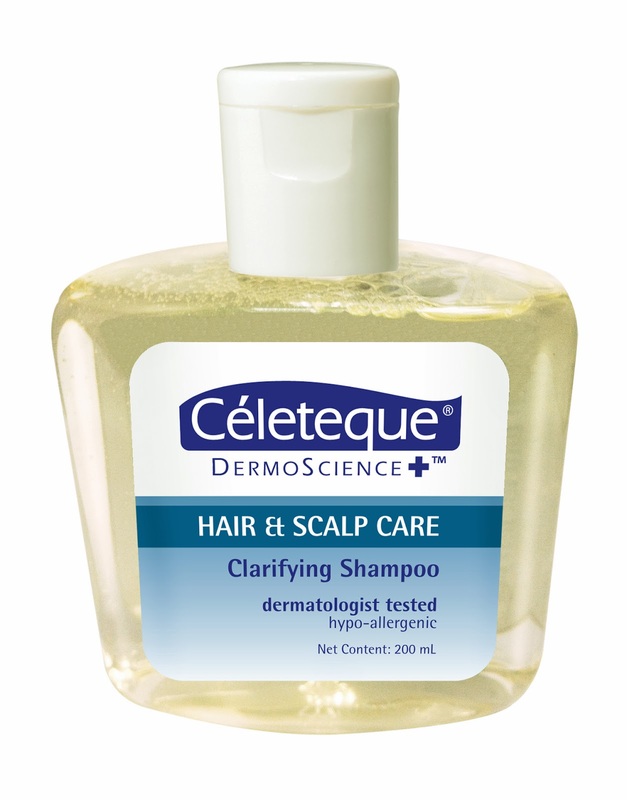 Using the Céleteque DermoScience Hair and Scalp Care Clarifying Shampoo once a week will unclog follicles to allow fresh moisture and nutrients to penetrate hair cuticles. After using the clarifying shampoo, you’ll notice that your regular shampoo will work even better for you and you can enjoy having hair that is healthy-looking and manageable. It’s time you pay more attention to your scalp and clarify your hair once a week with the Céleteque DermoScience Hair and Scalp Care Clarifying Shampoo. Céleteque DermoScience has 7 other skin care lines for different skin types and concerns. The Hydration line for expert moisturization; Acne Solutions line for Acne-prone and oily skin; Brightening line for those who want luminous and even-toned skin; Sun Care line for double sunscreen protection against UVA/UVB rays; Advanced Anti-aging line to diminish the signs of premature skin aging; Restorative line for lifting aging skin; and the Maternity line for OB-Gynecologist certified skincare products. You can also purchase other Céleteque DermoScience products in their online store at www.celetequedermoscience.com and enjoy special Christmas treats! Affordable Pampering at Nail It!